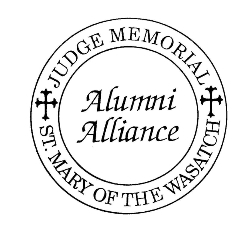 Connect with thousands of St. Mary of the Wasatch-Judge Memorial Catholic High School alums! There are many ways to enjoy the connections of our remarkable community. Judge Memorial connections extend throughout the nation. Nearly 10,000 alumni have carried on the Judge tradition, continuing their journeys with the character and service to others that is fostered at Judge Memorial. Alumni Alliance gatherings provide a forum for alumni involvement in and ongoing support for the school and its programs. Throughout the year, the Alumni Alliance coordinates various alumni events. At Homecoming, all alumni are invited back to the school for a gathering and to cheer on the present-day Bulldogs football team in our spectacular McCarthey Stadium. Connections, a magazine for alumni and friends of Judge Memorial Catholic High School and St. Mary of the Wasatch, is published periodically and features news and information of interest to our greater community. Each issue of Connections includes alumni news or "Paw Prints." To let your classmates know what you are doing now, simply email an update for "Paw Prints" to alumni@judgememorial.com. To receive Connections and regular alumni email updates, send your current contact information including your email address, to alumni@judgememorial.com or 801-517-2131. Be sure to add @judgememorial.com to your email spam filter to ensure that you receive the updates. Please update your information with us so we can keep you connected. We love hearing from you, and we love sharing your news. We want to know about your achievements, accomplishments, family updates, and other important news!